Seventy years ago, Attlee’s Labour Government created the NHS. Since then, no citizen of the UK has had to worry about not being able to afford the treatment that they need. To this day, it remains our greatest achievement. It stands as a demonstration of our solidarity, and as the embodiment of our shared values; that we are stronger when we stand together, and that as a society we have a duty to care for all. But under the Tories, our NHS is on life support. Demand for NHS services is growing rapidly from our ageing population, and chronic underfunding of adult social care is adding to the pressure. Yet at the same time, the NHS has experienced the longest funding squeeze since it was created. As a result, we’ve seen the most acute winter crisis in a generation, and the worst A&E waiting times since records began. Despite the hard work and dedication of local NHS staff, the pressure on our NHS is starting to show. Lewisham and Greenwich NHS Trust has not met its waiting times target in nearly three years. In the first three months of this year, nearly 12,000 patients waited over four hours at A&E in Lewisham and Greenwich NHS Trust. Lewisham Labour has a proud record of standing up for our NHS. Not long after I first became a Councillor, the Tory and Lib Dem Coalition Government tried to downgrade our A&E. 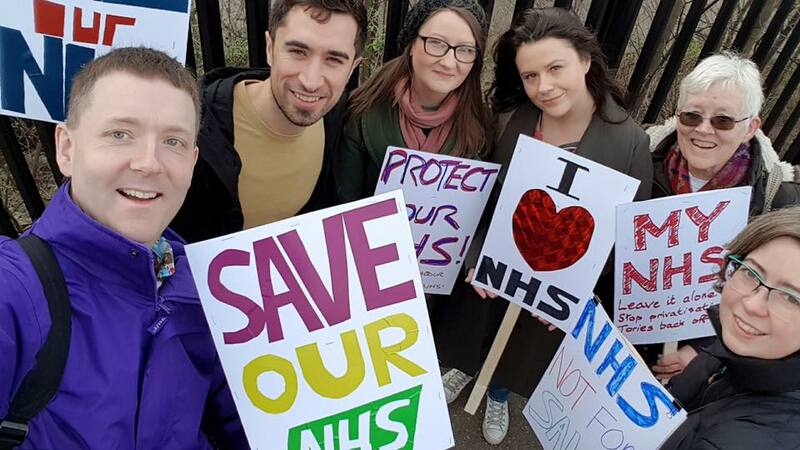 Labour-led Lewisham Council worked with the Save Lewisham Hospital Campaign to fight back. I have never been prouder of our community than the day we marched to save our hospital. Tens of thousands of people -; Labour members and community activists, nurses and doctors, and residents from across the borough -; stood together. We took Jeremy Hunt to the High Court -; and we won -; saving our hospital. Fight to protect our NHS by opposing any further attempt to close or downgrade Lewisham Hospital. We will opposing US-style privatisation and campaign to support the NHS Reinstatement Bill. Improve social care by introducing a new publicly-owned community based care service to provide dignified and compassionate care services that put people before profits. Ensure decent treatment for care workers by signing up to Unison’s Ethical Care Charter. Campaign for fair funding for our NHS, for social care, and for mental health services. Support health lifestyles by protecting free gyms and swims for the over 60s and encouraging all schools to take up the Daily Mile. But we need your help in getting the message out there. So please share this blog on social media, and please join us at one of our upcoming campaigning sessions. At this election, we get the opportunity to send a clear message to this Tory Government. That we value our NHS and that their austerity has failed. We must say that enough is enough -; we need to see investment in our NHS and social care.